Ilkley Manor House01943 607 030work MuseumSituated within the beautiful surroundings of the Wharfe Valley, Ilkley Manor House is one of Ilkley's oldest buildings. 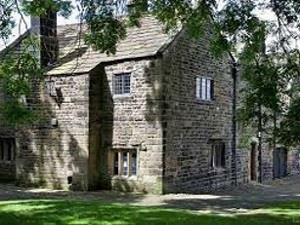 It is being converted into a museum, arts and heritage centre run by the Ilkley Manor House Trust. While plans are progessed for the building the displays are limited. Self-guided tours of the historic building are available, along with an interpretation panel of the Roman fort. There is also a busy programme of events. Ilkley Manor House is a short walk from Ilkley railway and bus stations, and from town centre car parks.